All (16 photos) - possible long download time! 001. EDINBURGH WAVERLEY. 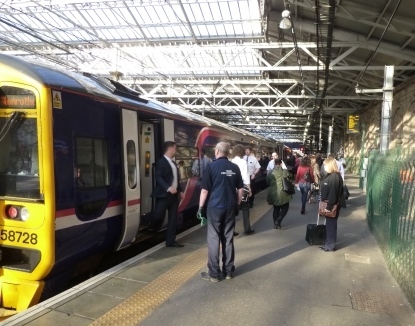 Passengers pour off 07.28 from Tweedbank at Edinburgh Waverley on first commuting day. 002. GALASHIELS. 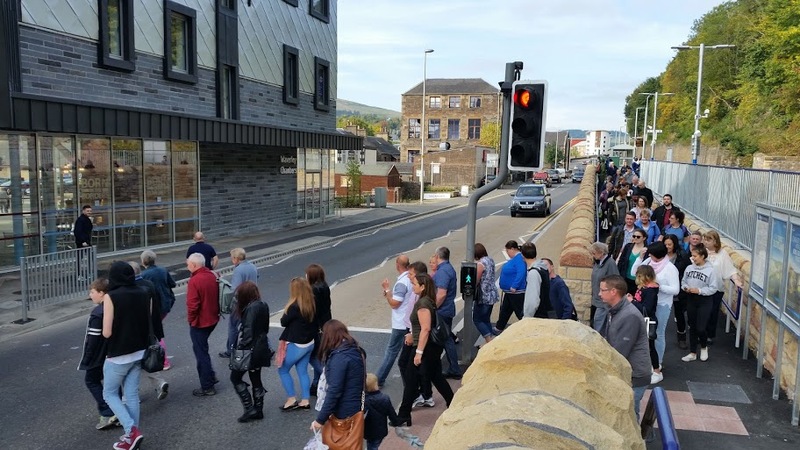 Passengers flood out from Galashiels station on 3rd October 2015. The patronage estimates from 2012 said only a few people would use each train. Railfuture is grateful to all of the photographers for permission to use photos on this website.